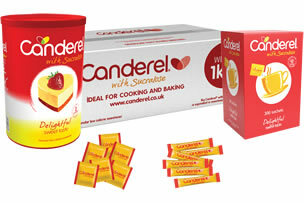 Canderel is recognised by consumers as the UK’s No 1 Sweetener and is the most purchased brand in its sector. 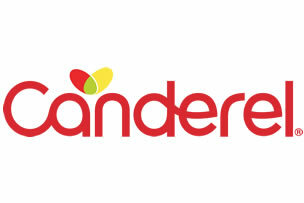 Canderel is available exclusively from Single Source. The range offers choices of Aspartame or Sucralose, with products available in sticks, sachets, tablets and 1kg bulk packs. This delivers a consistent solution for front of house and back of house usage. 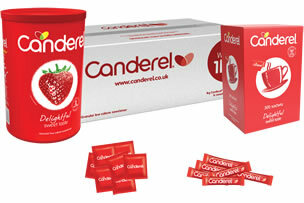 Canderel is big on sweetness and low on calories, giving your customers an alternative choice to sugar. Talk to the Single Source team about how we can personalise the Canderel range below with your brand on the packaging, increasing your brand awareness!